After completing my Masters in Business Studies with First Class Honours at NUI Galway in 2008, I was awarded the inaugural three year Research Fellowship with safefood. During this time I project managed safefoods first social marketing pilot initiative which addressed the issue of male obesity on the island of Ireland whilst completing my PhD in the area of social marketing partnerships and graduating in 2012. I joined the Discipline of General Practice in August 2012, as a Social Marketing Postdoctoral Researcher on the SIMPle study, funded by the Health Research Board through their Interdisciplinary Capacity Enhancement (ICE) award. The focus of the SIMPle study is the improvement of the quality and quantity of antibiotic prescribing for urinary tract infections (UTIs). Within the SIMPle study, I applied my skills as both a social marketer and qualitative researcher, to identify the key barriers and facilitators to improved antibiotic prescription and consumption from the perspective of the general practitioner and patient. 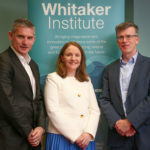 In collaboration with colleagues in other disciplines such as epidemiology, microbiology, general practice and health economics, these findings were used to design and implement a complex intervention (www.nuigalway.ie/simple). The ICE awards encourage collaborative learning through the adoption of a team based approach to research whilst supporting researchers to continue to develop their skills through training and mentoring opportunities. I have recently returned from a three week training visit with the Institute of Social Marketing in Stirling University, where I worked with leaders in the field of social marketing and qualitative research. I plan to participate in similar visits to the USA in the near future to pursue my interests in social innovation and novel approaches to facilitating behavioural change including e-health strategy development. My teaching focuses on social marketing strategy development and implementation as well as qualitative and quantitative research methods at both undergraduate and post graduate level. I also teach Global Marketing Management at Masters level.